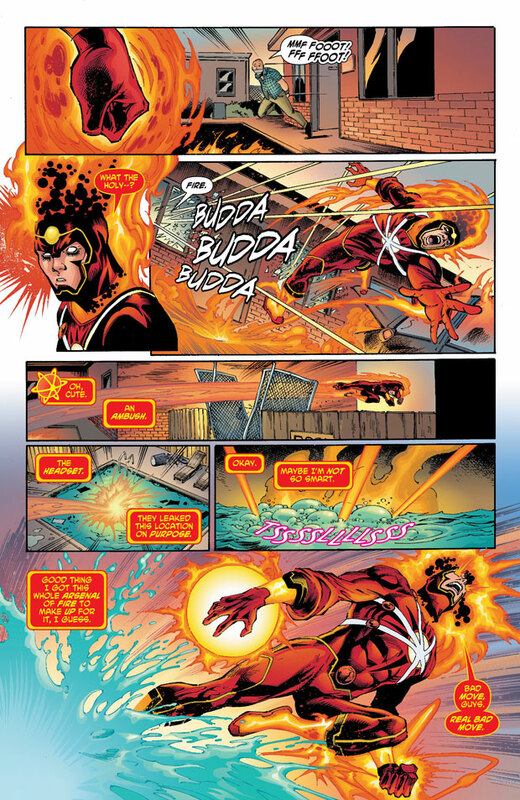 Christmas came a little early – FIRESTORM #4 Preview! Looks like Christmas came a little early this year! A four-page preview to The Fury of Firestorm: The Nuclear Men #4 is available over on io9! Click here to check it out! This issue is written by Ethan Van Sciver and Gail Simone, with art by Yildiray Cinar. While he’s not credited, I believe Norm Rapmund starts on inks with this issue too! Man, it looks sooooooooo good! Ronnie taking some initiative… Zither’s manipulation… can’t wait for next Wednesday when this issue hits the stands! My thanks to match-head Chris Mounce for the heads-up about this preview! Posted in: Ethan Van Sciver, Firestorm #09: New 52 v1 (Firestorm Protocols), Firestorm comic vol. IV, Gail Simone, Norm Rapmund, Ronnie Raymond, Yildiray Cinar.